The harbour town of St Ives has long been regarded as West Cornwall's premier holiday resort. The town is undeniably attractive with whitewashed fisherman's cottages lining the streets in the 'Down-along' area. There are also a host of sandy beaches to choose from, all of which benefit from the clear blue water and proximity to the town centre. Originally Porth Ia, the town is named after Saint Ia who legend has it sailed across the Irish sea on a leaf. Where she landed became St Ives and this is to whom the 15th century parish church is dedicated. The town's other chapel has a more dramatic setting atop the 'Island' (which isn't actually and island!). The diminutive St Nicholas' chapel consists of one small room overlooking the Atlantic Ocean to three sides. Over the years the little chapel has served as a lookout for both smugglers and invading navies. Despite almost being demolished in 1904 St Nicholas' is once again consecrated ground. 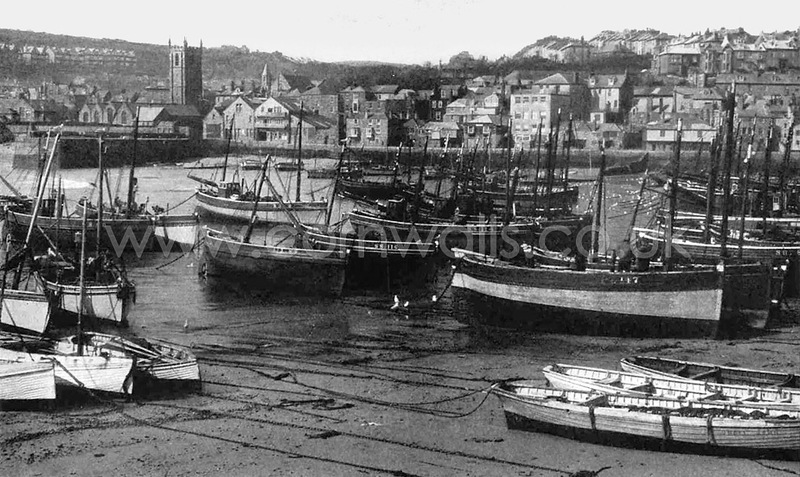 There has been fishing in St Ives since the middle ages and the town was one of the centres of the Cornish pilchard industry. Pilchard presses used to extract oil from the fish are exhibited in the town museum. There is still fishing carried out from the harbour, both commercial and recreational along with a variety of boat trips including seal watching excursions. St Ives enjoys the reputation as somewhat of an artists' haven. This is put down to the exceptional quality of light, which has actually been scientifically measured. The light has drawn artists here since the 19th century when renowned painters including JMW Turner visited. This popularity coincided with the development of the railways and heralded an influx of many more artists and crafts people, many of whom were equally innovative. The first wave of contemporary artists arrived at the turn of the century and included the likes of Borlase Smart, Julius Olsson and John Park. Potter Bernard Leach followed soon after leaving the legacy of his pottery and studio which is now open to the public. It was the late 1920s that saw the definitive cohort of artists coming to the town and it is them, more than any, who are associated with the St Ives School. Ben Nicholson and Christopher Wood are perhaps the most influential of all these and oddly their styles were influenced by local man, Alfred Wallis and his childlike 'Primitive' painting style. 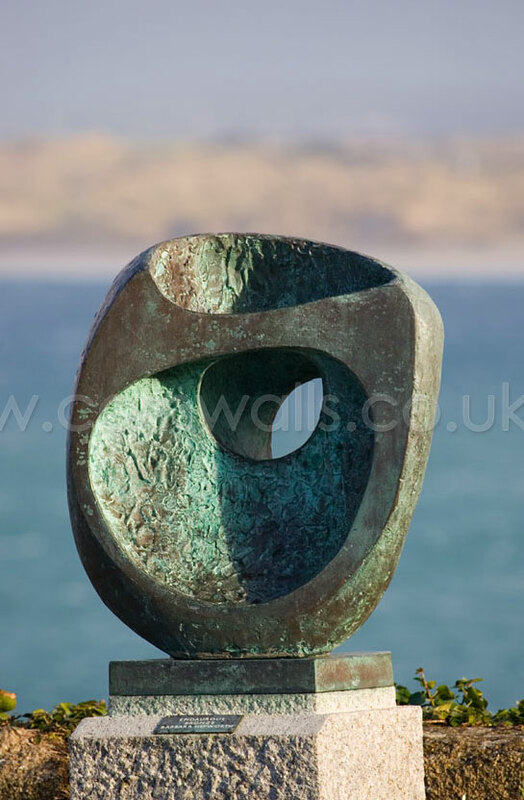 Nicholson went on to marry another of St Ives' most distinguished artists, the sculptor Barbara Hepworth. Her studio and gardens, which feature many of her sculptures, are now open to the public and remain as they were on the day of her death in 1975. In 1993 the St Ives Tate Gallery was opened. Situated overlooking the Atlantic at Porthmeor beach this is an area synonymous with many of the St Ives artists. The gallery is set over 3 floors featuring 5 separate gallery spaces. If contemporary art isn't your thing it is still worth a visit for the rooftop café, if nothing else. With no less than 5 fine, sandy beaches in St Ives to choose from is a great spot for a family holiday. Best known of these is Porthmeor beach in front of the Tate gallery. Porthmeor is a few minutes walk from the town centre yet manages to maintain a rugged feel due to the headlands which flank the beach. It also faces directly into the Atlantic Ocean meaning there is often good surf here. On the beach there are no shortage of facilities including a great café and surf hire facilities. The beach is lifeguard patrolled and the water as clean as it looks. On the other side of the 'Island' is the small beach of Porthgwidden. It is particularly accessible, backing on to a large car park. There is also a good café here. The next beach round it the harbour beach which is another favourite. With Wharf Street directly behind there is no shortage of shops, cafes and facilities making this a very family friendly beach. St Ives' second beach is generally considered to be Porthminster. It differs to Porthmeor in nearly every aspect. Facing eastwards and tucked in around the headland Porthminster is a sheltered beach. The backdrop is much less dramatic too, with a manicured lawn and wooded hillside dotted with Victorian villas. What it does have in common with Porthmeor is excellent facilities. There is a highly rated beach café and this lifeguard patrolled beach has clean, safe bathing waters. The other great thing about Porthminster is it is located right next to the train station and just below the bus station at the Malakoff. There are three main events on the St Ives calendar. There is the September Festival, the Hurling of the Silver Ball and the New Years Eve celebrations. The September Festival is held over two weeks every and acts from all around the world perform in a range of venues of across the town. In keeping with the town's persona these are often well regarded and somewhat high-brow acts. The Hurling of the Silver Ball is held at the beginning of February and is a unique tradition involving hurling a silver ball! The activity is basically a rampaging rugby scrum with goals several miles apart. It is generally recommended that one watches rather than participates in the melee! New Years Eve in St Ives has grown into quite a large affair over the years. Come rain, snow or gales thousands of fancy dress clad revellers take to the streets in a drunken, but good natured celebration. Over the years I have graced the event as a lighthouse keeper and Noel Coward, my top tip is tailor your outfit to the weather. 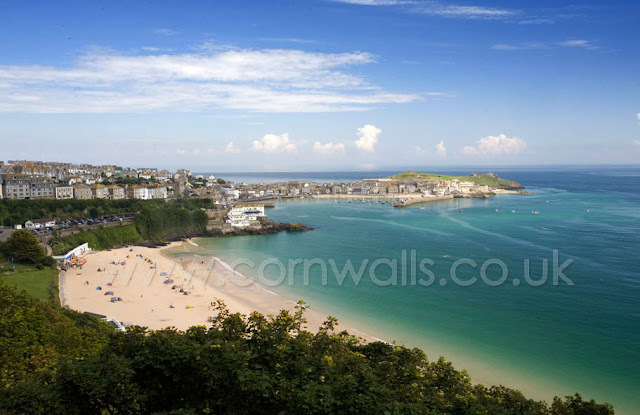 St Ives is a great location to spend a holiday. Given its close proximity to so many other interesting sites and towns it is probably worth spending at least a week. To the south is the historic harbour town of Penzance and to the west, the dramatic scenery of the West Cornwall moors and Land's End beyond. If you get bored of St Ives' beaches then pop over to neighbouring Hayle with its '3 miles of golden sands'. As such a well established holiday resort there is no shortage of accommodation in St Ives. The town benefits from a range of B and Bs and small hotels. Of course traditional Cornish cottages abound so these are often a great option. St Ives is a great place to visit at any time of year, in fact I would recommend avoiding the peak summer season. Hopefully this article has provided a few ideas and whetted some appetites. Cornish baby names. A comprehensive list of Cornish names along with meanings and relative popularity.